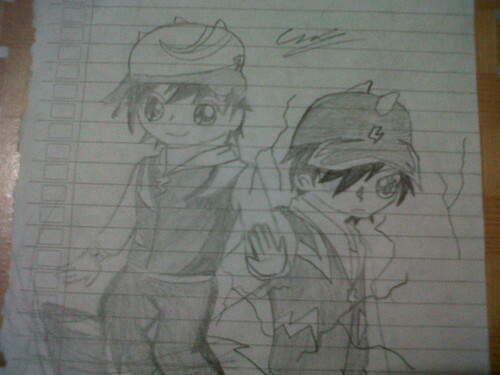 My new Fanart of BoBoiBoy. Please rate komen. HD Wallpaper and background images in the Boboiboy club tagged: boboiboy taufan halilintar fanart. This Boboiboy fan art might contain tanda, poster, teks, papan hitam, and chalkboard.